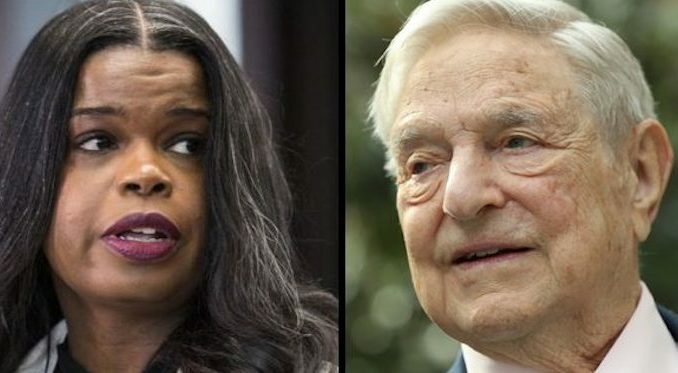 Far-left billionaire George Soros donated $408,000 to a super PAC that supported the prosecutor who let Jussie Smollett walk free on Tuesday. Cook County State Attorney Kim Foxx announced she was dropping all 16 felony charges against the Empire star, whom police confirmed had faked a MAGA hate crime in January. Breitbart.com reports: Foxx had formally recused herself from the case in February because she had spoken with Smollett’s family. The Chicago Tribune later reported that Foxx had asked police to turn the case over to the FBI after an intervention by Tina Tchen, a former chief of staff for former First Lady Michelle Obama.